Thomas Cook India has opened its new franchise in Delhi’s Kamla Nagar. Inaugurated by Romil Pant, Sr Vice President, and Jatin Sharma, Associate Vice President, Thomas Cook India, the expansion augments Thomas Cook India’s distribution and reach in Delhi-NCR to 17 consumer access centres: six owned branches and 11 Gold Circle Partner (franchise) outlets. The Gold Circle Partner outlet offers consumers end-to-end travel solutions with a bouquet of travel and travel-related financial services, including international and domestic holidays value-added services like travel insurance, visa services, etc. 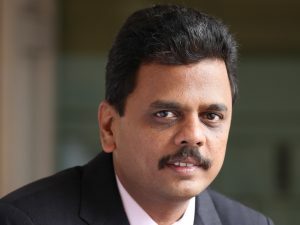 Rajeev Kale, President & Country Head, Leisure Travel & MiCE, Thomas Cook India, said, “The North market continues to feature strongly as a prime driver, delivering significant growth of 32 per cent YoY for our leisure travel business. We have selected Delhi-NCR as it has a strategic market basis. The Thomas Cook Gold Circle Partner programme increases the brand’s reach across the country, giving consumers access to the company’s products and services in metros/mini-metros and strongly emerging Tier II and III markets. Thomas Cook (India) has strengthened its presence in Faridabad with the inauguration of a new branch at SCF 51, First Floor, Sector 15, Faridabad. It was inaugurated by Romil Pant, Senior Vice President and Jatin Sharma, Associate Vice President, Thomas Cook (India). This expansion augments Thomas Cook India’s distribution and reach in Faridabad and Delhi-NCR to 16 consumer access centres – six owned branches and 10 Gold Circle Partner (franchise) outlets. Thomas Cook India’s internal data had highlighted Faridabad/Delhi NCR as a high potential source market for its holiday business. Hence, in an initiative to harness this opportunity, the company has identified Faridabad to set up its new Gold Circle Partner franchise outlet. Rajeev Kale, President & Country Head – Leisure Travel and MICE, Thomas Cook (India) said, “The North market has been identified as a prime growth driver and continues to deliver strong growth of 32 per cent YoY for our leisure travel business. Delhi NCR offers us significant potential and we have selected one of Faridabad’s prime localities for our new branch.” Gold Circle Partner Mamta Arora, a resident of Faridabad is an industry veteran. Her domain expertise and relationships/contacts will assist Thomas Cook in establishing and growing the market. 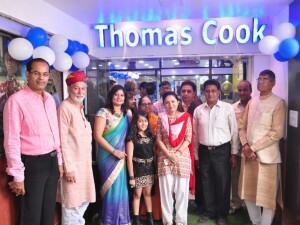 Thomas Cook India has opened a new Gold Circle Partner outlet in Bikaner. The Thomas Cook Gold Circle Partner programme is an exclusive partner programme for tour operators and travel agents in India that helps in increasing the brand’s presence and reach across the country. With this programme, the Gold Circle Partner reaps benefits of a brand association with Thomas Cook, along with knowledge sharing, training and expertise to manage a travel business. In addition, a Gold Circle Partner is empowered to provide customers with a wide range of travel and financial products & services, including sales & marketing support for customer retention and further new business development, thereby enabling them to reach out to a larger customer base. 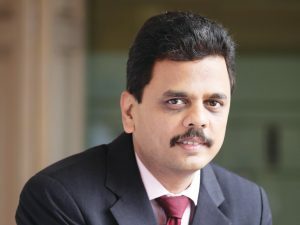 Rajeev Kale, President & Country Head Leisure Travel & MICE at Thomas Cook India Limited said, “We have observed that India’s Tier II and III markets exhibit immense potential for growth and we want to be a catalyst in this key opportunity. Bikaner is a ]new market for our travel and travel related businesses and we believe that the city offers tremendous potential to cater to a diversity of retail consumers such as business families, government employees, and business and leisure travelers. Our newly opened outlet in Bikaner is located in a well-known commercial hub- right in the heart of the market.” With this new Bikaner outlet, Thomas Cook India’s network in Rajasthan extends to 10 locations across the state, offering its customers easy access via 2 owned branches in Jaipur and Udaipur and 8 Gold Circle Partner outlets (3 in Jaipur, and one each a Kota, Udaipur, Jodhpur, Alwar and now in Bikaner).